In order for a business to thrive in the current times, to constantly adapt and innovate is extremely pivotal. And like every other industry, this holds true for the insurance sector as well. 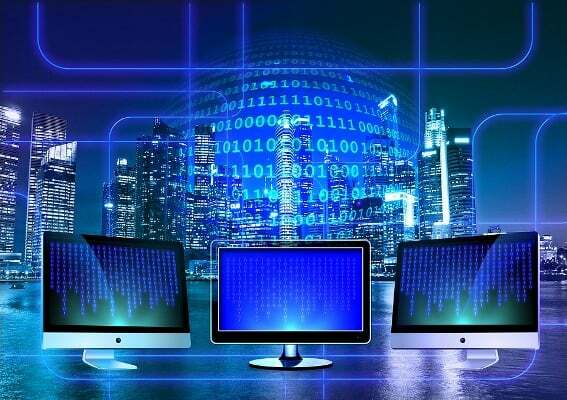 Although off to a slow start, the insurance sector has joined the digital transformation bandwagon as new age technologies like Blockchain and Artificial Intelligence are the future of the industry. 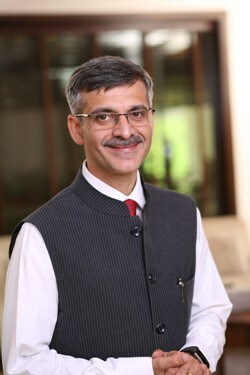 In an interview with DataQuest, Mr Manik Nangia, Director and COO, Max Life Insurance, goes in depth about the journey of the insurance sector towards digitization and the challenges associated with it, as well as how Max Life is embracing new age technologies and automation. Q. How much of a challenge was digital transformation for the Insurance sector? The dominant logic in life insurance is face-to-face engagement. All systems and processes are set up for this. The fact that virtual user experience is an important element is new to the sector that has traditionally depended on agents to provide user experience. On the organizational side, the concept of agile teams is also new to the insurance space. For an industry that has always looked at a five to ten year-horizon, the ability to respond to environmental changes in a quarter, is new. Life Insurance as a sector has always attracted great talent when it comes to Sales, Underwriting, and Actuaries. However, the need of the hour is the gear up to also attract the best of digital technology and analytics talent. From an HR, Finance, UX, Technology, Engineering perspective, job roles are pivoting, and companies need to create value propositions and environments to attract new talent, but also allow them to thrive within. The last and most important challenge is to change people’s mindsets. While companies are creating digital platforms for agents on their mobile phones using cutting edge technologies like AI and OCR readers to enable a frictionless for the customer, there is still a large reliance of agent advisors on human interventions. Agent advisors and sellers are still more comfortable calling a person in the back-end operations team to resolve discrepancies, rather than doing it directly on a digital platform. These are the kind of real challenges the industry faces for digital transformation. Q. How are new age technologies like AI, Big Data analytics and ML being implemented by Max Life Insurance? Max Life is using new age technologies across the value chain for prospecting, on-boarding, servicing, claims, fraud detection and prevention. Right from prospecting through digital marketing on a Google stack that is Cloud native, to customer on-boarding through filling of mobile-first proposal forms and customers answering medical questions themselves for better disclosures, to customer service, where we are providing functionalities on our website and conversational interfaces like chat bots, we are using new age digital interventions. The sharpest differentiation in the space will come when as a life insurer, we start to learn more about our customer’s life stages and preferences, buying patterns, etc. and then use artificial intelligence to offer relevant and compelling propositions throughout the life of the customer. From the time a customer buys his or her first life insurance policy, to when he or she starts working, to getting married, starting a family and later approaching retirement, a life insurer has immense opportunities to become custodians of life stage data of the customer and engage with them in meaningful conversations throughout their lives. Q. How serious is the concern of cyber security in the insurance industry? And how is it being addressed? The concern for cyber security in the life insurance industry is very serious, as is in other industries such as banking, healthcare etc. The insurance industry holds a great deal of customer information and customers entail a lot of trust into organizations they do business with. We at Max Life, ensure confidentiality through regular sanity checks, native security, ethical hacking to spot vulnerable areas and don’t compromise on any costs relating to security. Additionally, we are moving away from premise deployment and towards cloud that is inherently a much more secure environment for data. It is extremely important for any business to re-visit security protocols and personalize native security basis their requirement and risks. Automation is extremely important in this day and age. Has it been realised at Max Life? Eliminate – We start by eliminating processes and transactions by learning the pattern and being proactive. For example, we ship out automated texts whenever premiums are paid, to eliminate the customer having to approach us for a receipt. Automate – Wherever possible, we digitize to allow customers to “Do-It-Yourself”. For example, we have apps and websites which allow customers to update personal details, without any human intervention. Intuitive and Instant – Lastly, if elimination or automation of processes are not possible, then we focus on making the journey of the customer seamless by customizing front ends of apps via Artificial Intelligence deployments. For example, dynamic IVR tree choices based on a customer’s selections, that once connected, adopts a “one-and-done” philosophy to close a customer’s request in the first instance. To service customer requests, we have created digital pipes for our sellers that ensure queries, processes, policy issues are closed in a short span of time, providing customer convenience. Our target to automate front end Policy Owner Services requests is pegged at 32% for the first quarter of FY20. Q. How would you say new age technologies and automation impact hiring? HR was once viewed as a limited function that merely delivered employee services. However, it is now being used to lead the task of digital transformation across companies globally. At Max Life Insurance, our workforce is widely spread out in about 250 domestic geographies in addition to partner offices. We currently employ 11,200 people, with an agency network that is expanding by over 30,000 every year! We are now doing this efficiently and smartly by using external data and predictive models to estimate which recruits are likely to be more successful than others. The next breakthrough in this technological space for hiring would be to implement a cognitive workflow with real time analytics, with the ability to talk back to participants and give recommendations based on predictions of human behavior. While prediction of human behaviors is generally the last hill to climb for any AI technologies, we believe that if we can even make a small difference in the hiring efficiencies, it will have an immense organizational impact. What Digital Transformation means for the Insurance Sector: Manik Nangia, Director and COO, Max Life Insurance 0 out of 5 based on 0 ratings. 0 user reviews.